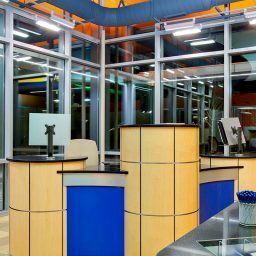 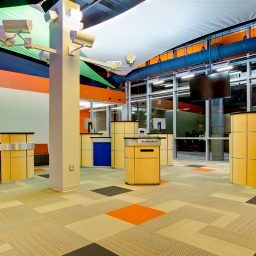 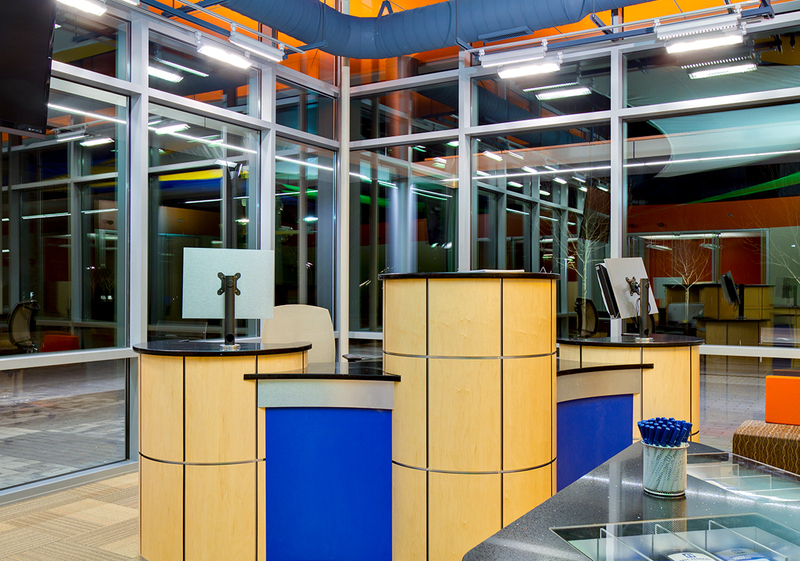 Sherman Construction provided preconstruction planning and construction services for the 2,000 SF interior construction for a new MTC Federal Credit Union. 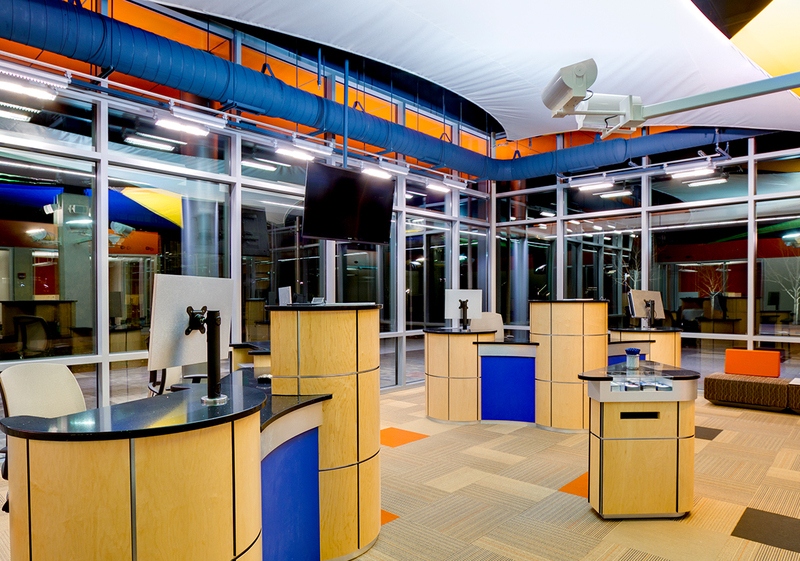 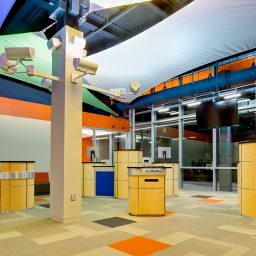 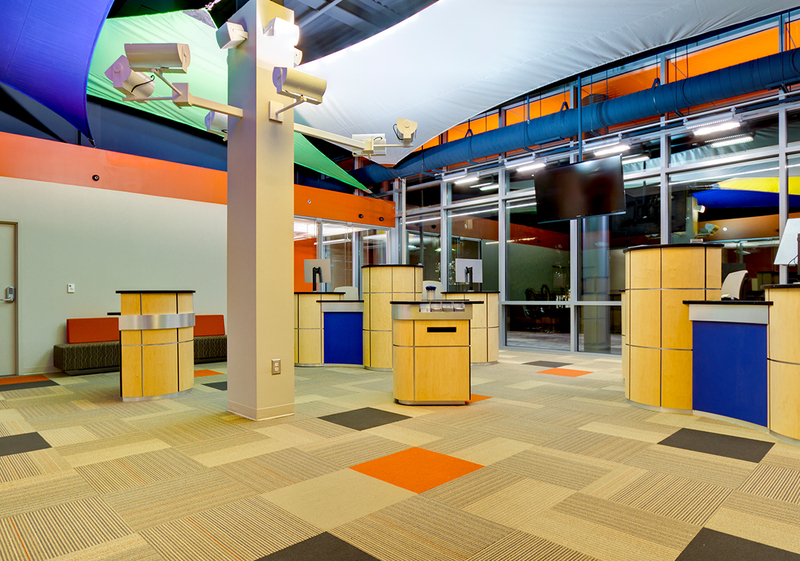 The new credit union is located within the Center for Emerging Technology on the CU-ICAR campus. 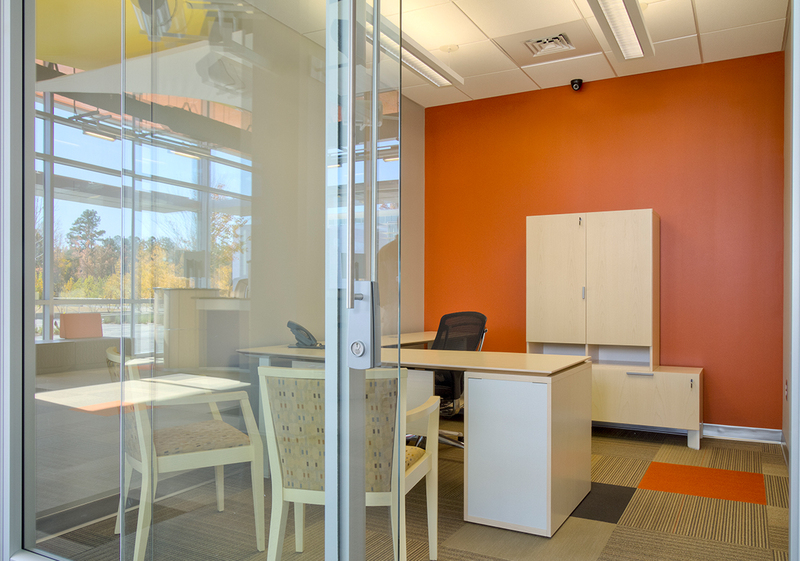 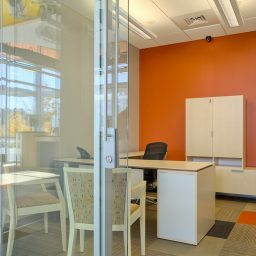 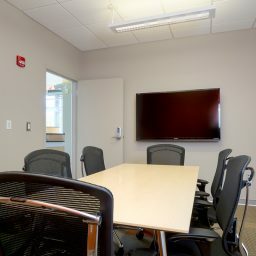 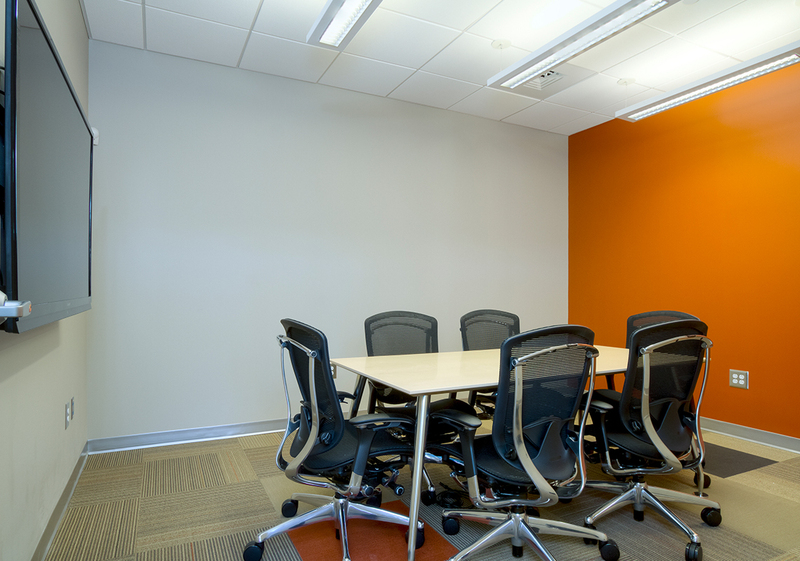 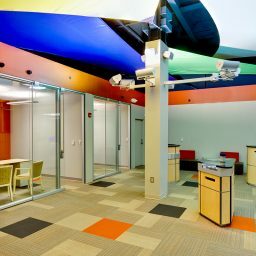 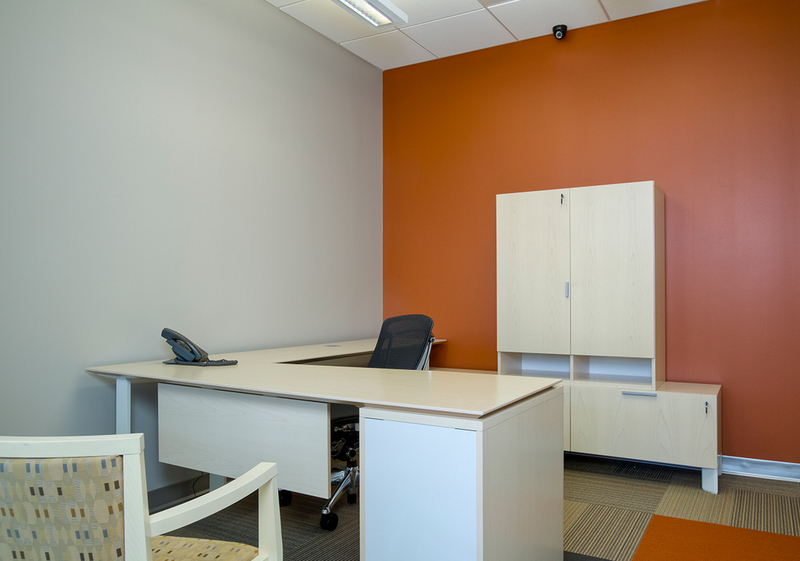 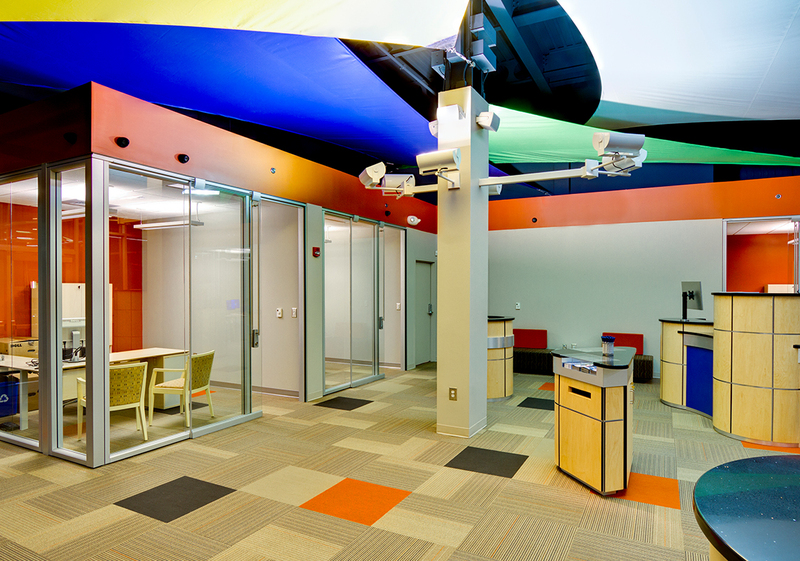 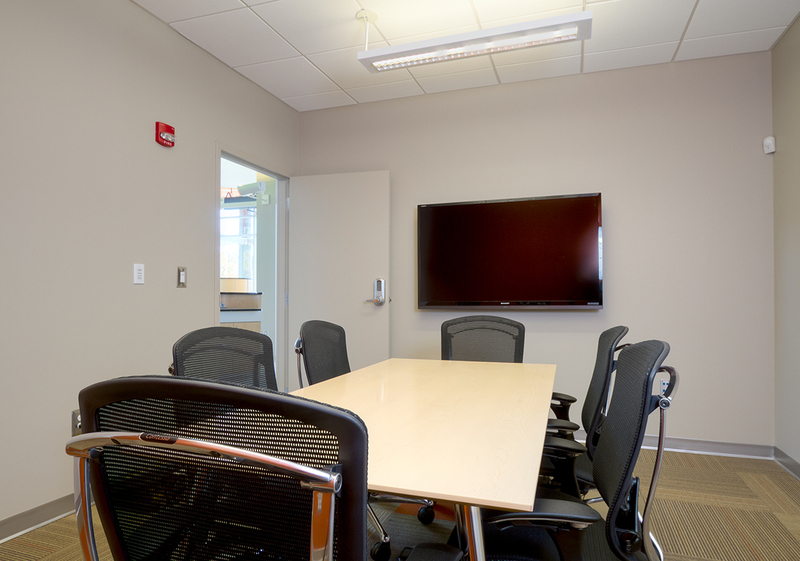 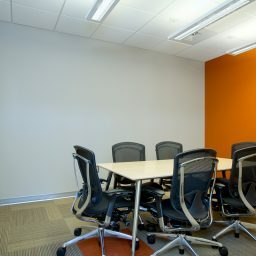 The space included three individual offices created with an interior glass door and wall system. 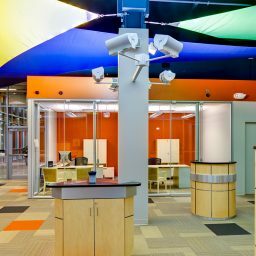 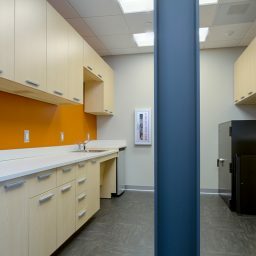 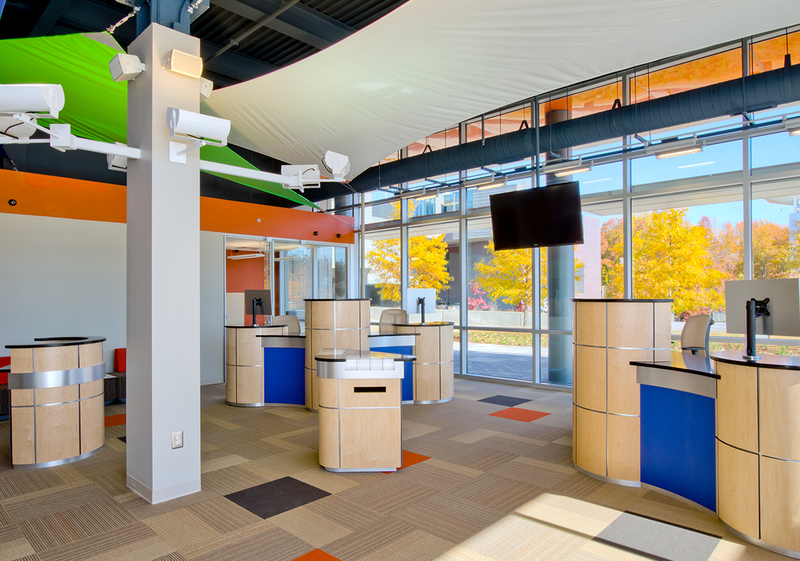 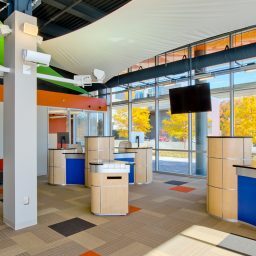 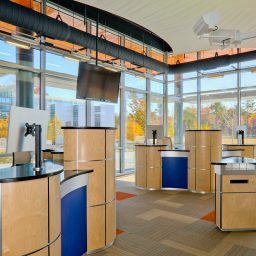 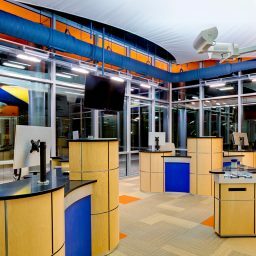 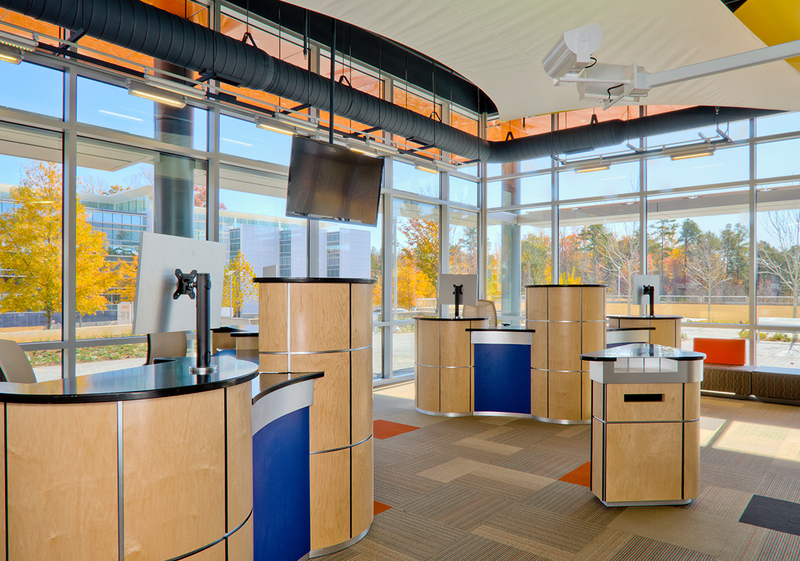 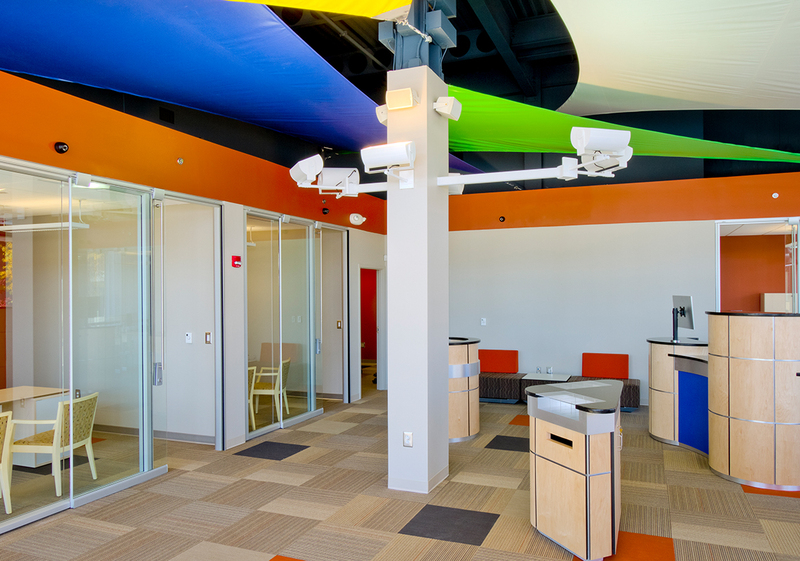 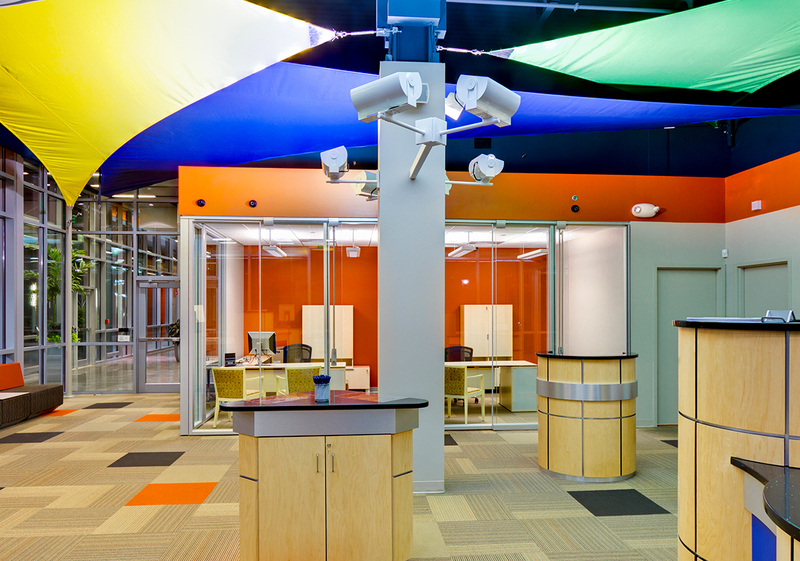 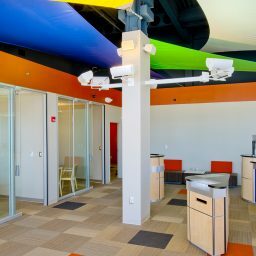 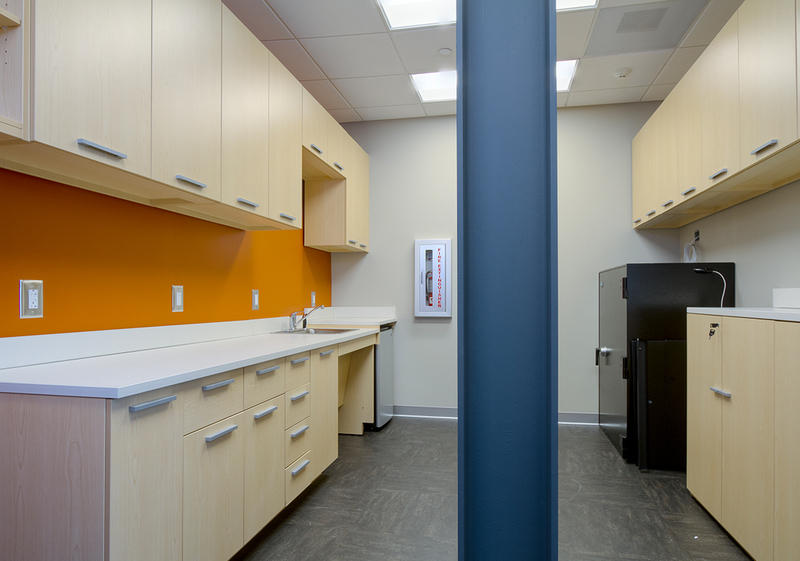 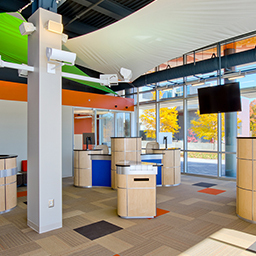 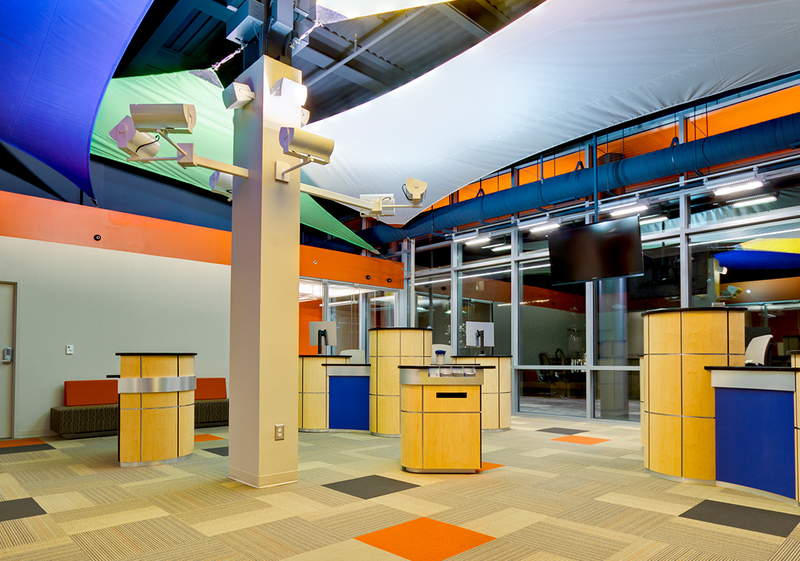 Beyond normal up-fit planning and construction activities, Sherman Construction provided custom-built teller pods with rounded maple panels, as well as installation of Fabric Sail Tension Structures along the ceiling line. 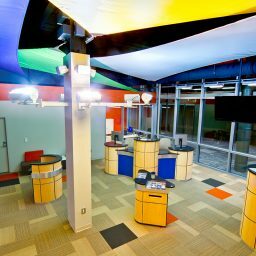 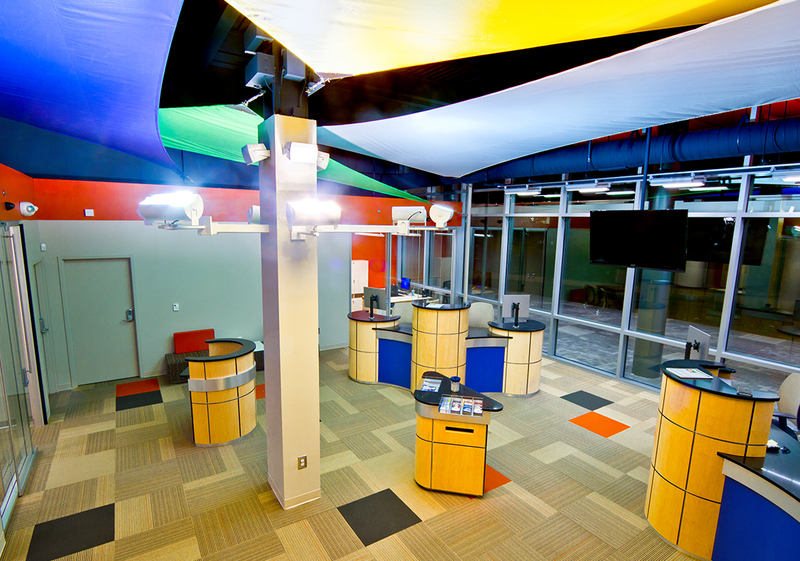 The Fabric Sail Tension Structures were implemented for enhanced lighting and acoustical characteristics of the space.